Cyber Academy » Cyber Phys. Ed. ● 15 hours are due each nine weeks. Do not wait until the due date to log! ● The fitness log is worth half of your grade. Log with detail. Completing the online course work is worth the other half your grade. 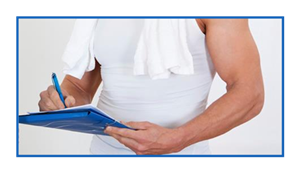 Grades will be calculated at the end of the 9 weeks as your teacher grades your fitness log. ● You need a total of 30 hours for the first semester, and 30 hours for second semester.